Last month Nestle, the second biggest food and beverage company in the world, announced plans to build a $154 million dollar coffee processing plant in Mexico. Despite earning $7.3 billion in profits last year, they are requesting that the Mexican government subsidize the planting of 80,000 hectares of Robusta coffee to supply their instant coffee production--and presumably help grow those profits. Coffee farmers are taking a stand and saying no! Join them in calling on their government to stop supporting Big Food & more monoculture plantations and invest in better livelihoods for farmers instead. Big Food vs. 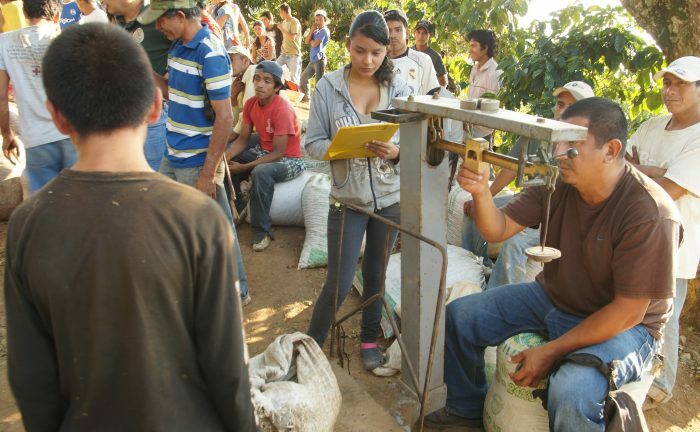 Small-Scale Coffee Farmers Coffee farmers across Mexico have come together to deliver a clear message: Nestle's plans to expand Robusta coffee production are a bad deal for coffee producers, drinkers, and the planet. As coffee prices hover around $1/pound, well below the cost of production, farmers struggle to get by. Meanwhile, Nestle continues to swallow up coffee companies and consolidate their control of the industry. The choice here is stark: Will Mexico invest in small-scale farmers, in diverse agroforestry systems, and fair livelihoods, or will their new president side with Big Food, industrial monoculture farming, and Nestle, a company infamous for human, labor, and water rights abuses?